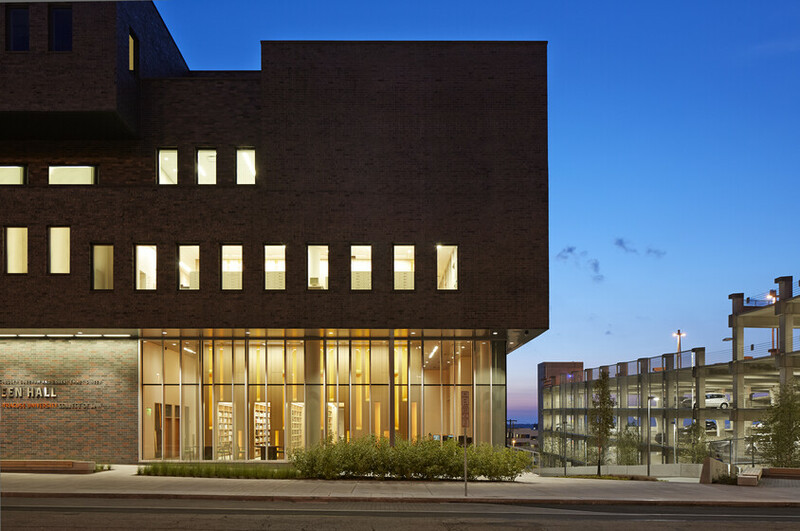 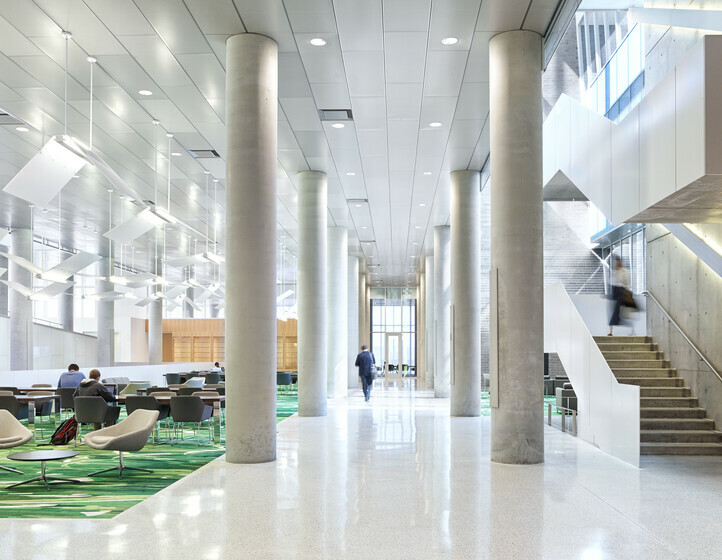 Providing a new, state-of-the-art building for the College of Law, Dineen Hall mixes book storage and collaboration spaces with lighting and daylight that make it a West Campus destination. 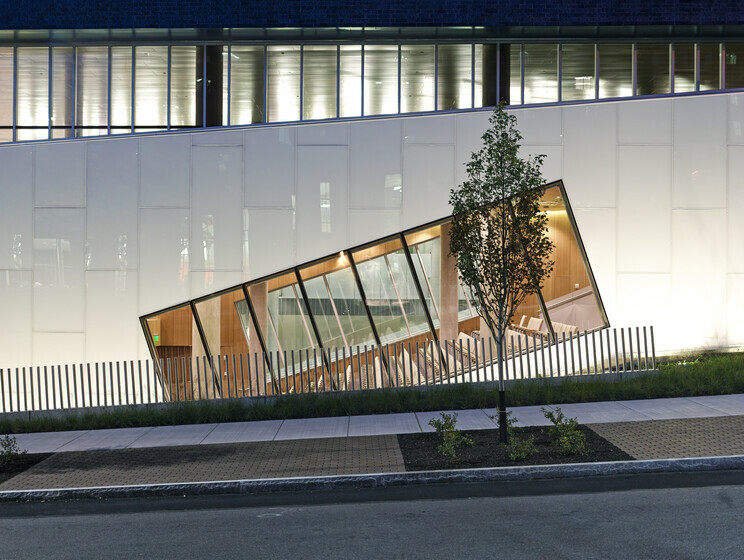 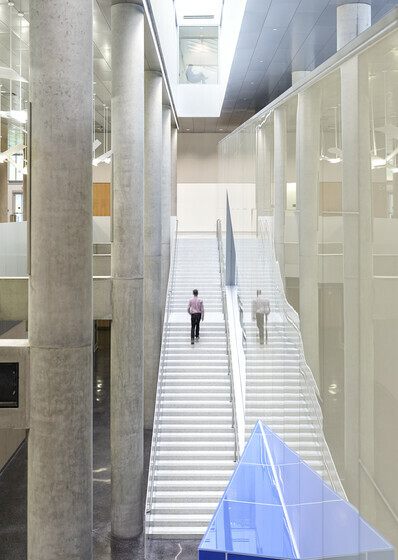 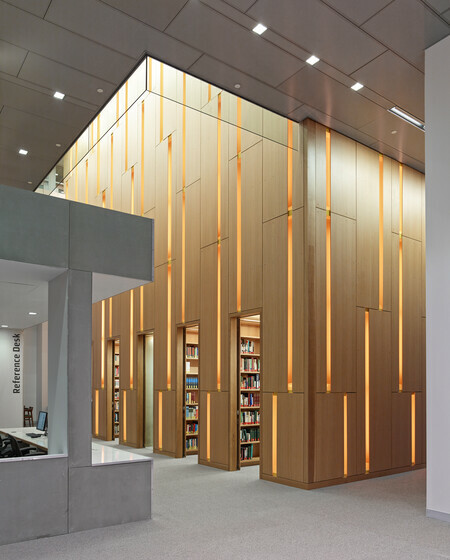 Atelier Ten closely collaborated with Gluckman Tang from the project’s inception to achieve lighting systems that would playfully illuminate Dineen Hall’s interior and meet the visual needs of students, faculty, and staff during the day. 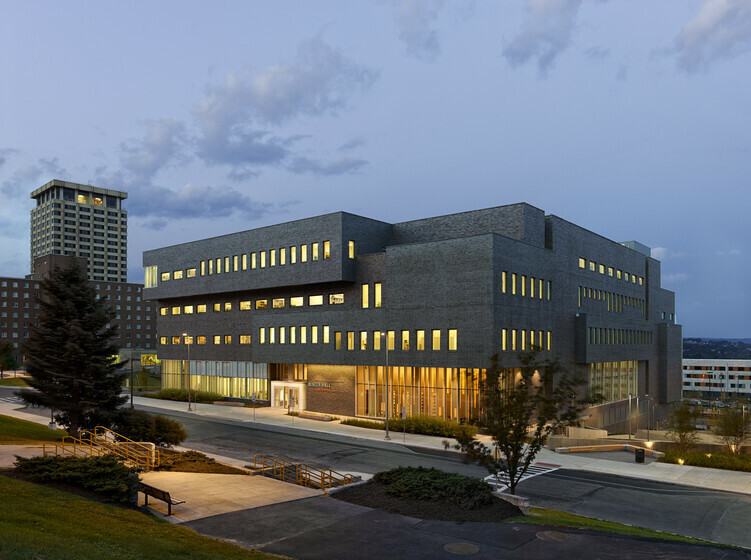 A space known for late night studying, Dineen Hall’s visual environment provides a comfortable, inviting study center. 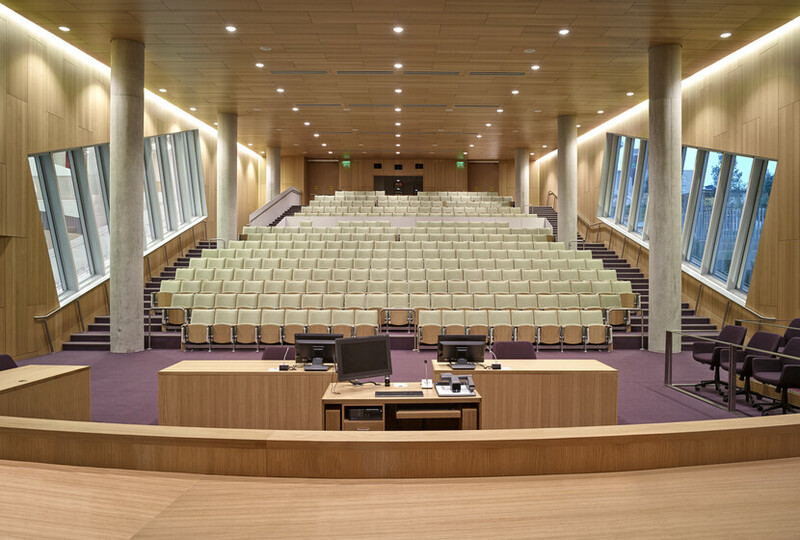 The seamless integration of generous daylight and balanced, electric light gives a bright, ethereal glow to the central atrium that links the library, event spaces, and ceremonial courtroom in this modernized law school building. 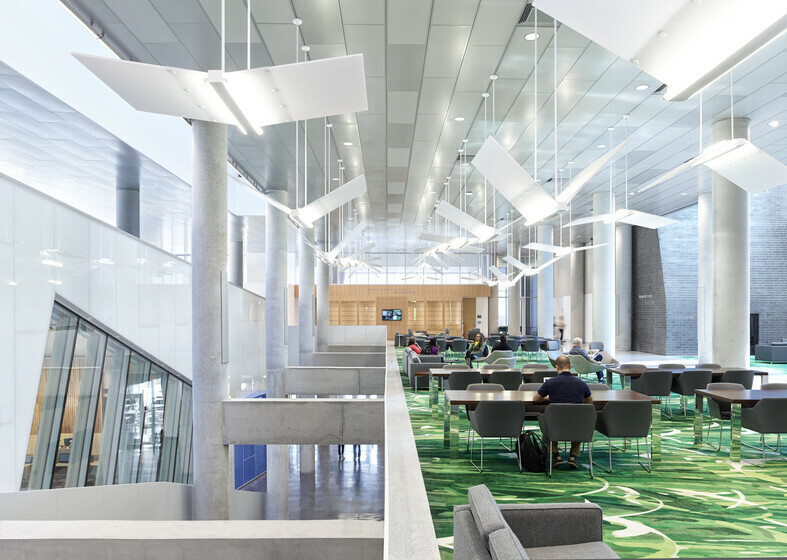 Intentionally unconventional, lighting systems echo a playful theme in the custom, flying book luminaires that soar over the main atrium space.